Your Holiday Home Haus Isabella *** is in the heart of Obertauern, yet also in a quiet location. Step right out of your 2 – 6 person holiday apartments and the Gamsleitenlift at the Obertauern Ski Resort is only 120 m away. 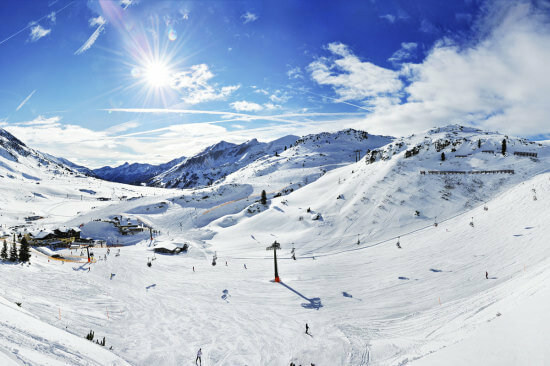 Here you can enjoy pure skiing pleasure on the 100 km of slopes and 26 ski lifts with fabulous views. A variety of alternative winter sport facilities are available to guests: cross-country skiing, biathlon, sledding, snow-shoeing, sleigh rides, and much more. The ski bus stop “Petersbühel” is just 300 m away. Your car you can leave in our free parking garage at Haus Isabella ***.